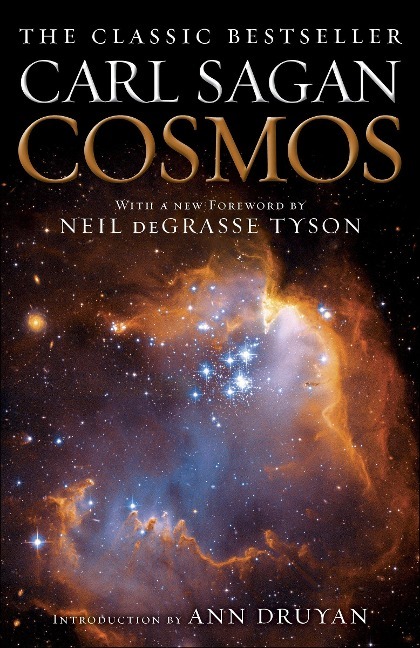 Cosmos is one of the bestselling science books of all time. In clear-eyed prose, Sagan reveals a jewel-like blue world inhabited by a life form that is just beginning to discover its own identity and to venture into the vast ocean of space. Featuring a new Introduction by Sagan's collaborator, Ann Druyan, full color illustrations, and a new Foreword by astrophysicist Neil deGrasse Tyson, Cosmos retraces the fourteen billion years of cosmic evolution that have transformed matter into consciousness, exploring such topics as the origin of life, the human brain, Egyptian hieroglyphics, spacecraft missions, the death of the Sun, the evolution of galaxies, and the forces and individuals who helped to shape modern science. How Might Life Evolve on Other Words?